Petroleum geology and geophysics is about understanding our earth and the processes that shape it. Geoscientists are explorers, problem solvers and innovators. They recover resources and meet energy demands in economical, safe and sustainable ways. 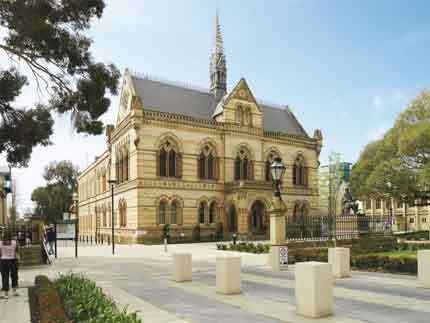 The Australian School of Petroleum is a world-class centre for petroleum education, training and research. 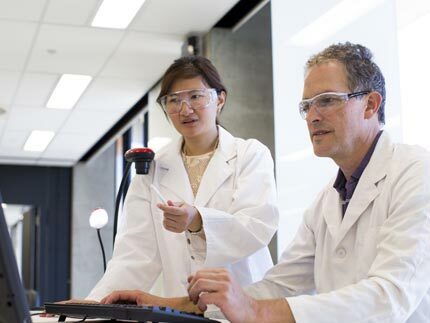 We have strong links to industry with fully integrated teaching and research programs. build hands-on skills and practical knowledge. Where could it take you? You might pursue careers in mineral or petroleum exploration with multinational and local companies. You could be a geologist, a geophysicist or an oil and gas analyst. Perhaps you’ll work in consulting or as a natural resource manager in a government agency. Choose your applicant type to view the relevant admissions information for this program. A completed Bachelors degree in Geology or Geophysics or equivalent. Application - Apply via SATAC now! Bachelor degree or equivalent. Relevant bachelor degree must be in Earth Science, Mining Engineering, Geotechnical Engineering, Physics or a related field. Choose your applicant type to view the relevant fees and scholarships information for this program. These scholarships, as well as many others funded by industry and non-profit organisations, are available to potential and currently enrolled students. Careers may be pursued within multinational and local exploration and production companies, service providers, consulting companies, government departments and universities. 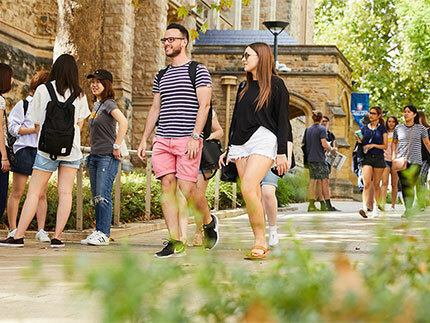 The University of Adelaide Careers Service prepares, inspires and empowers students to achieve successful career transitions and connect with industry. The objective of this program is to produce graduates with specific attributes as outlined in University of Adelaide Graduate Attributes. This is a 12-unit program. The following courses will be completed: Fundamentals of Petroleum Geoscience I and II, Petroleum Resource Evaluation, and Petroleum Systems and Basin Evaluation. The Calendar is a comprehensive handbook of the University's academic program rules. Study plans are available on the Faculty of Engineering, Computer and Mathematical Sciences website. Assessment includes coursework, fieldwork and examinations. The annual Open Day and Information Night events provide an excellent opportunity to see our campus, meet with academics, and discuss your study options. Start mid-year. Applications now open. Life moves fast. Start your career this July to be best equipped for rising industries and emerging job opportunities. 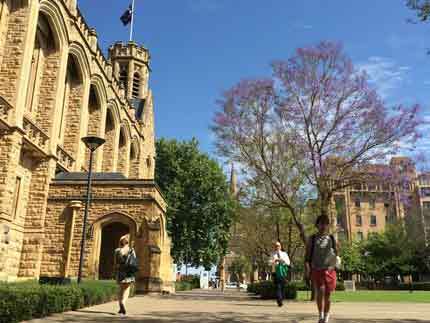 "I chose to study a Masters in Petroleum Engineering at the University of Adelaide because the ASP (Australian School of Petroleum) is located on campus. The different programs content at the ASP are well balanced on important aspects like academia, government and industry and in my case, the coursework option was a better and more convenient choice, given that I already have work experience. On the other hand, there is significant research activity going on at the ASP, which attracts really high calibre teaching staff from Australia and overseas as well."